* Dimension (cm) : H: 18-20 CM (Approximately) - Depending on the design's selected. 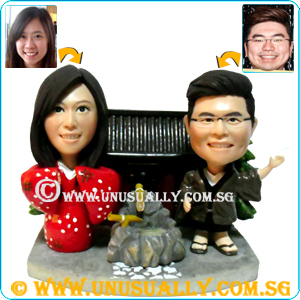 * Come with a Free Base worth S$15 for the figurine to be placed on it. 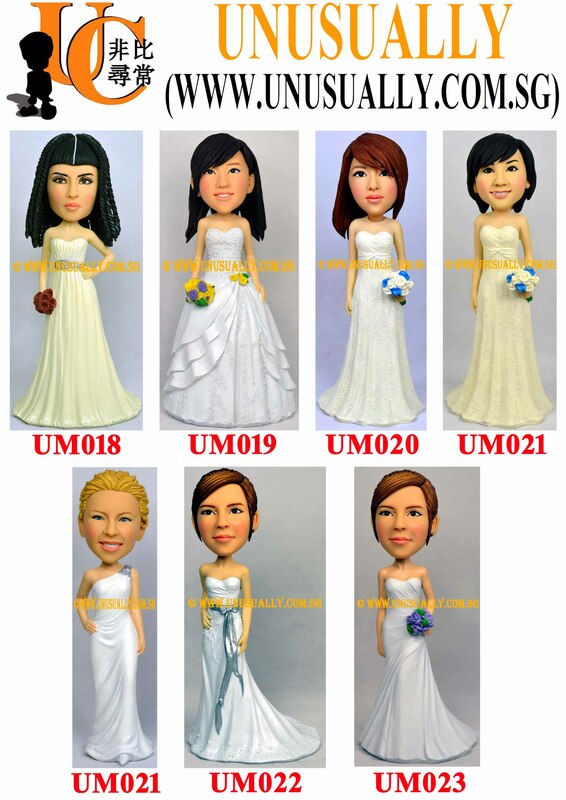 * With an additional of SGD25.00 per figurine. You can make the figurine into bobblehead figurine. It mean that the figurine head will move. If need to do as bobblehad, back hairstyle will have to be either in pony tail or "Bun" shape. * For an additional of $15 (< 15 alphabets). You can have the option of adding wordings to the background or base. If more than 15 alphabets, additional cost will be at S$20 instead. Wordings will be added either in customized decal or sticker format.